Draped elegantly from tents and covered walkways, perimeter string lights provide a classic visual appeal and a wonderful compliment to any central lighting source within your tent. 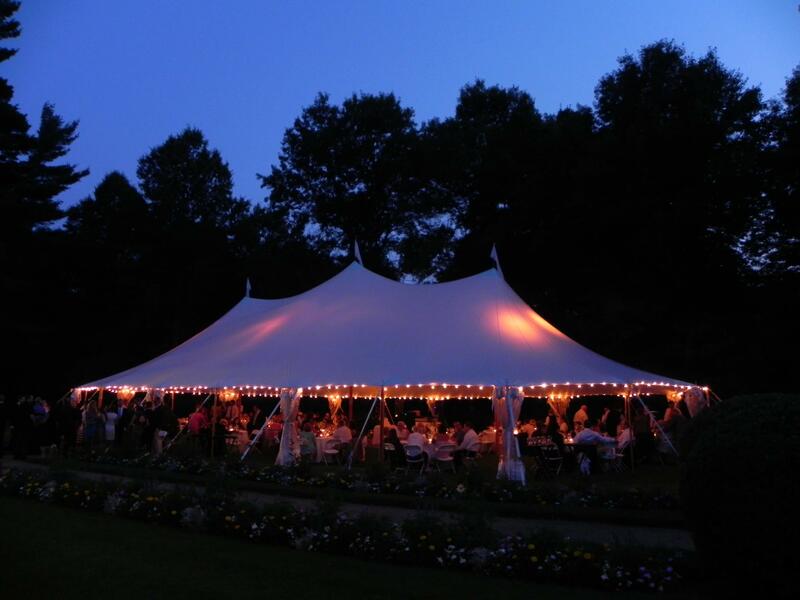 With uplighting, we are able to add layers of illumination to your event. You can choose from par can spot lights with colored gels or wireless LEDs.